Recovery of materials and products, so these can be reused again and again, is the main focus of a circular economy. From this perspective, designers, industries and consumers should radically rethink the way we engineer, manufacture, use and dispose of products. 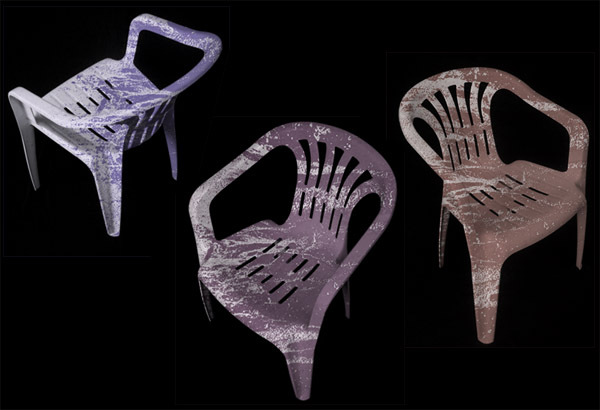 For their part, designers should adopt, if not single material, then at least an advanced approach of design for disassembly, facilitating product disposal and recycling at the end of their lives. Hereby materials are assembled is such way, that these can be disassembled easily to enable single material recovery. Erik van Buuren worked with EcoSmart in developing the SmartBin, a waste collection container which can separate up to five material streams, e.g. paper, cups, GFT / PMD, plastics and other waste. 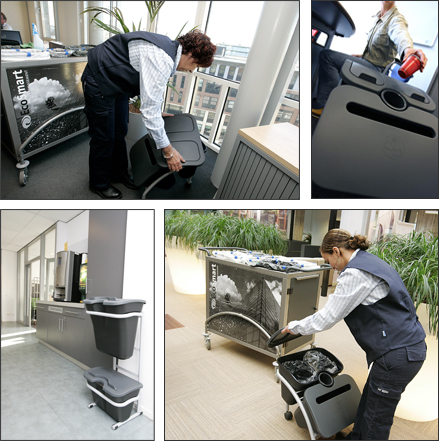 EcoSmart SmartBin 2.0 is the first C2C certified collection bin in the world. The bins, the rolling and standing model, consist entirely of C2C approved recycled materials. The bin itself is a recycled material bin, which is completely designed for disassembly.